Unchained Melody a beautiful romantic song and full of memories. Have you ever heard a song sung Unchained Melody by The Righteous Brothers? This beautiful song was launched in 1965 on the album titled "Just Once in My Life". If you have never heard, you can ask your grandfather or grandmother, who must have heard this melodic songs, with beautiful lyrics full of words of love from a man to his girlfriend. Of course you can buy this song in a music store in CD format. If you are a fan of Demi Moore, then you can rent or buy a movie called Ghost. Demi starred in the film with Patrick Swayze. 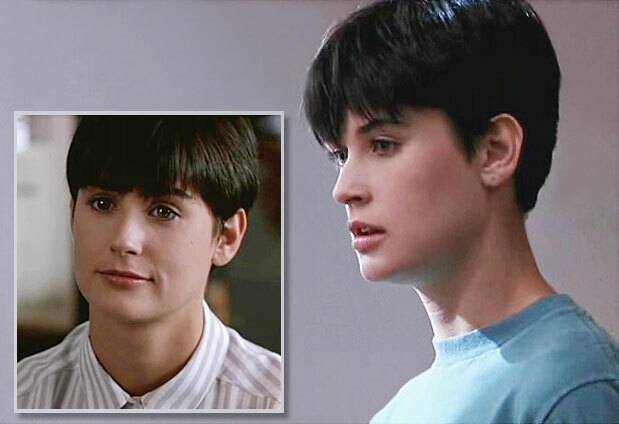 This wonderful film that is highly favored in the 90s, even the haircut of Demi Moore is a trend that is copied by women all over the world. I also really liked hairdo of the gorgeous Demi Moore in this film. Perhaps you also need to try it just once in your life to cut your hair, with Demi Moore-style model, as you can see in this photo. You definitely get the admiration of your lover. If you buy a Blu-ray or DVD of the movie Ghost, then you will see a romantic movie with a very alluring story, but with a story that will make you thrilled, even you will cry.